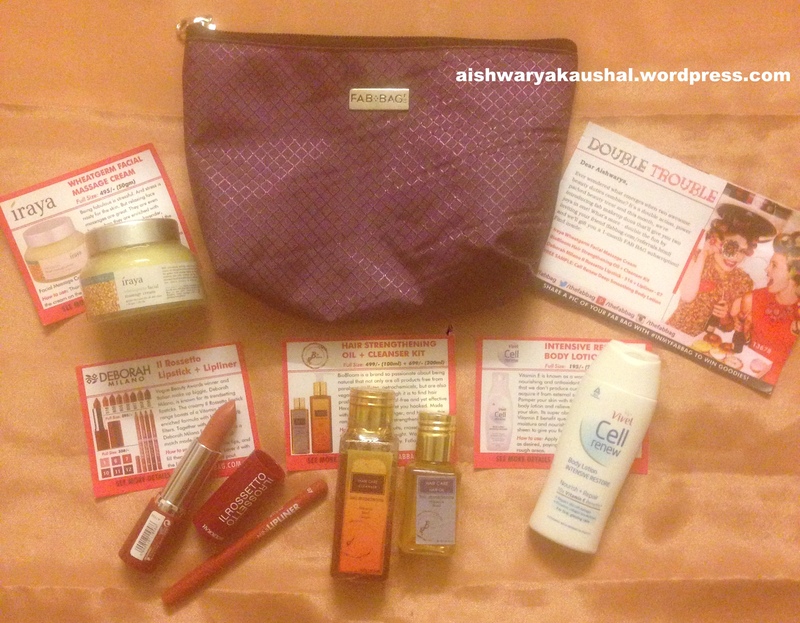 My Fab Bag subscription ended in May but I was so fed up of receiving vivel, cetaphil and body washes that I didn’t want to renew. 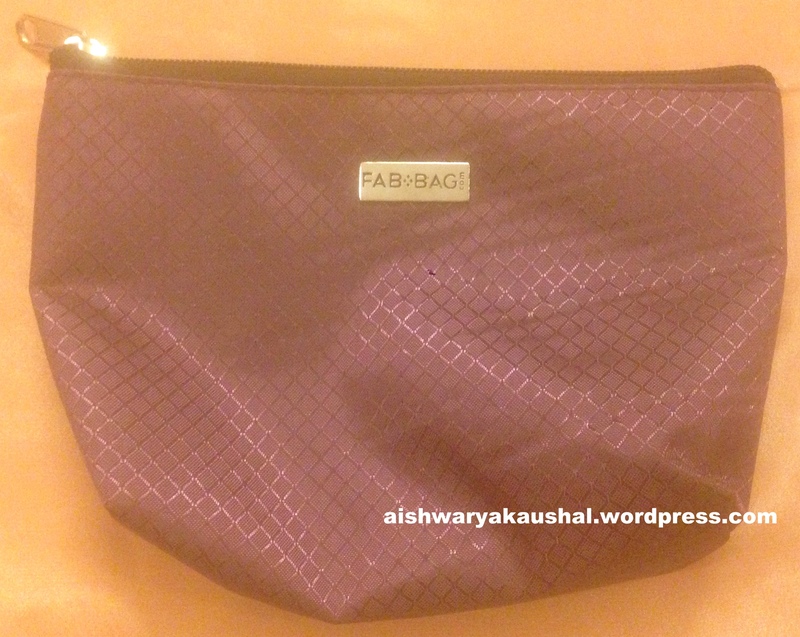 So, I skipped on the June Fab Bag. After reading some raves about the July Bag I decided to renew my subscription. 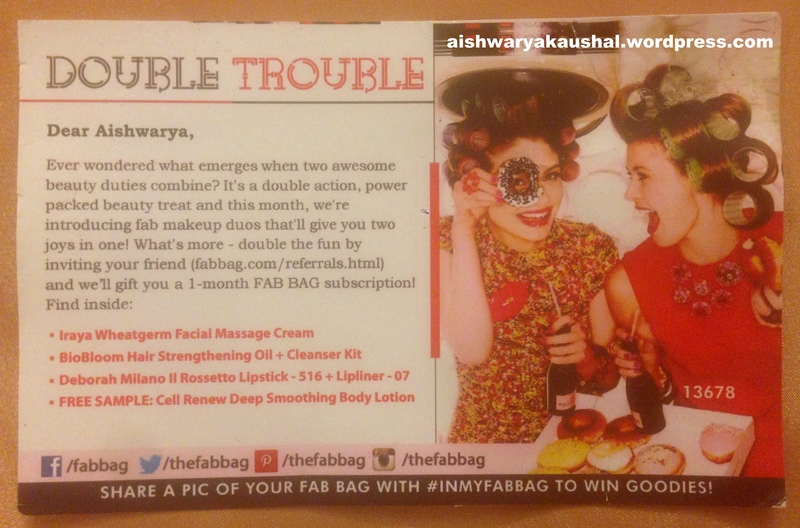 The theme this month was “Double Trouble”! I’m only 22 and I don’t really believe in facials unless you’re 30. So, this is a waste product for me. 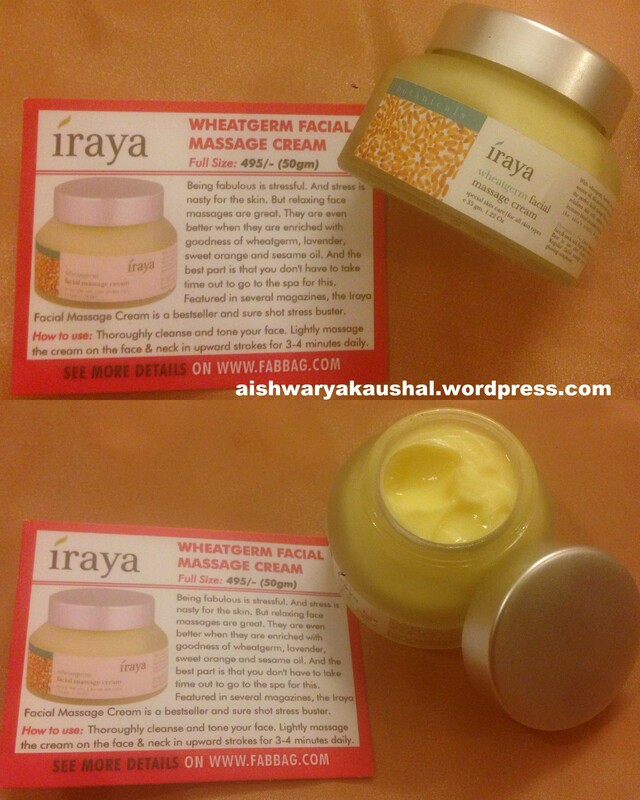 I might give it to someone or use it as a body moisturizer. This would’ve been a great product for someone over 30. 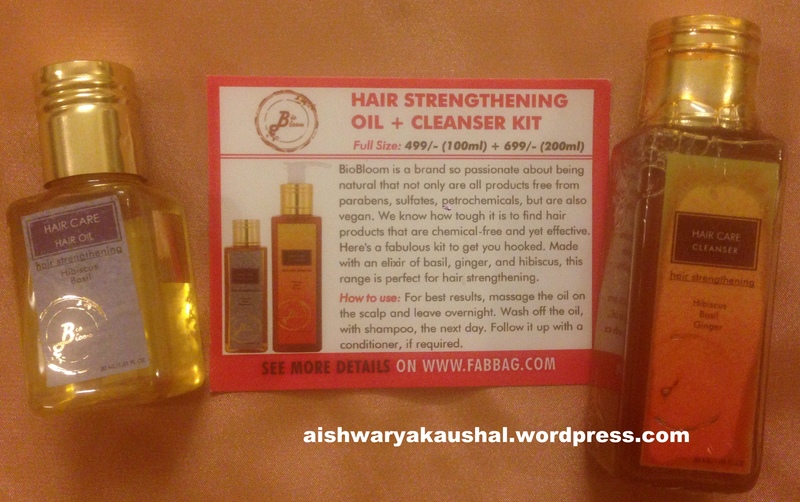 I would like to try the oil but the shampoo has a very pungent Ginger/Herb scent. I’m not sure if I want that kind of scent in my hair! 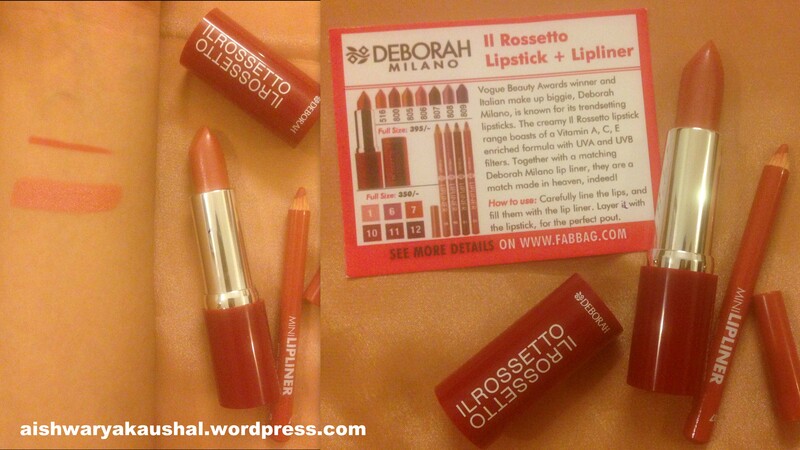 I wonder when FabBag will stop sending me frosted lipsticks. I have received three frosted lipsticks now including this and I don’t wear frosted lipstick. What a shame! I’ll have to give it to someone too. The lip liner is lovely though. I wish they had sent only a full sized lip liner instead. 4. 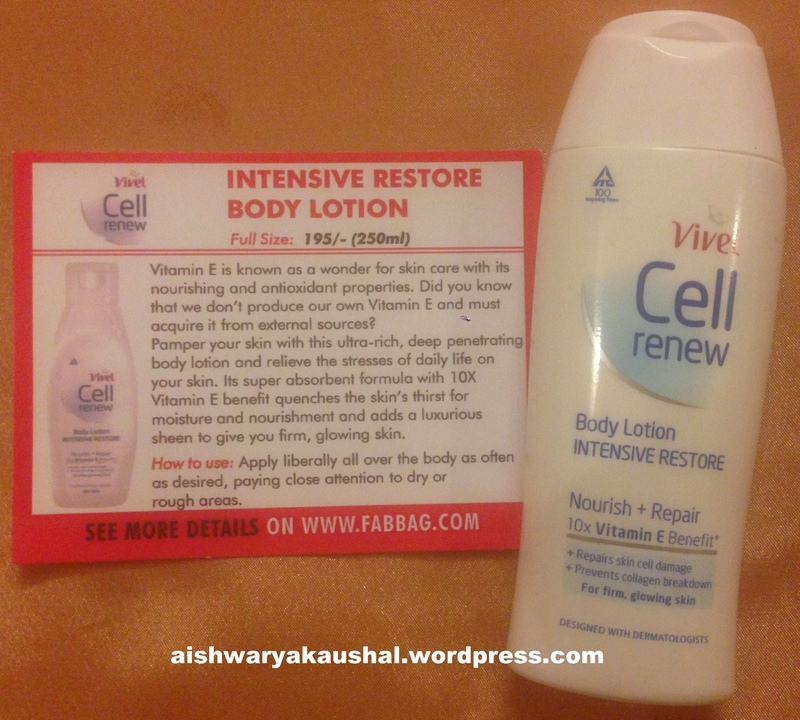 Free Sample – Vivel Cell Renew Deep Smoothing Body Lotion. Since this is a bonus product, I’m not going to complain too much but this is the second time we have received the same lotion and Vivel! Really? Vivel! This was an unfortunate bag for me. Had I been someone who is over 30 and enjoys facials or wears frosted lipstick, I would’ve been ecstatic but sadly, I am not. They really should pay attention to their consumer’s needs and preferences. Especially when they have all the information required because we fill a quiz. these r like lucky draw.. never knw wht u get next haha.